Shipping was so fast, the potatoes were so fresh, I am here placing my next order. Excellent all around. Unbelievable. 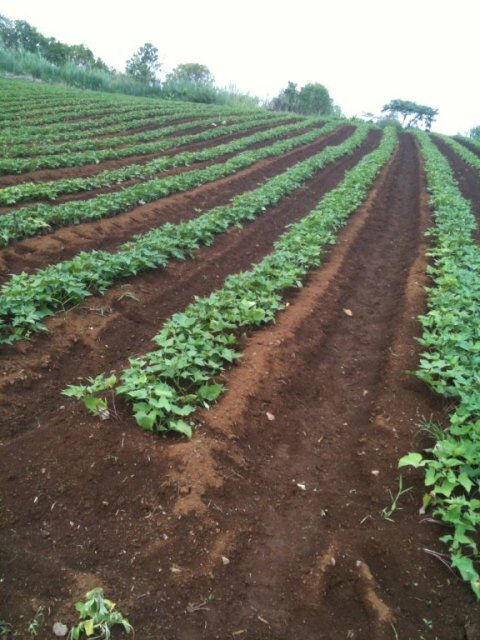 Sent all the way from Hawaii and every potato was in excellent condition and health. Shipping was insanely fast. The quality of these potatoes in unmatched, I am blown away. They make amazing baked sweet potato 'fries'. I look forward to placing and receiving MANY more orders from Hawaii Veggie Farm. I just moved to florida last year and I have not been able to order. I have been ordering through this company for years and I am never disappointed! Cant wait to sink my teeth into some deliciousness once again! I always bring Hawaii purple potatoes back to Utah with me after a trip to Hilo. Now, I have them for breakfast every morning and love the convenience of having them shipped to me. Mahalo!!! Very good, been ordered from them for a few years already. Wonderful, Unusual, Exquisitely Novel Sweet Purple Spuds! These are awesome. No more to say. We make a purple super spud powder out of these for our clients. Everybody loves it. Thanks! I've ordered these several times. Very high quality. Would highly recommend these Hawaiian Purple Potatoes. Love this sweet potatoes, we tried them while in Hawaii back in 2009 we fell in love and been ordering ever since, the price is good compared to other sites, fast delivery after shipping and fresh product. Love them and definitely recommend. Wonderfully delicious! Awesome delivery. Must have food in my pantry! I love purple yams/sweet potatoes and have tried from many places where grown. Hawaiian Purple Sweet Potoatoes by far THE VERY BEST in texture, sweetness, flavor and consistency. It tastes so good. It is the best sweet potato in the world. I've had these purple sweet potatoes before and these are by far the best quality I've ever had. The others had big fibrous chunks which were pretty unpalatable; I haven't had a single issue with any of these so far. I'll admit we had some communication issues with the seller when our order was delayed but everything turned out alright in the end. We'll definitely order from them again. I have ordered several times and have always been very happy with the potatoes that arrive in the mail. It's hard to believe that I can get purple sweet potatoes direct from Hawaii and cheaper than what is available locally. Great product, great service, great deal! Had some while visiting Hawaii Last year,they are wonderful! Have ordered some every couple of months, and will continue to order them. I love those purple yams. They are soooooo much better than what I got from local markets. Sweet and fresh! 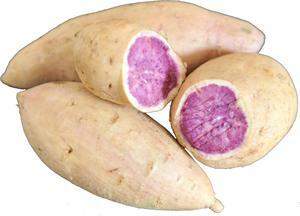 I like this purple yam, from the beautiful color to great taste, will keep buying it.